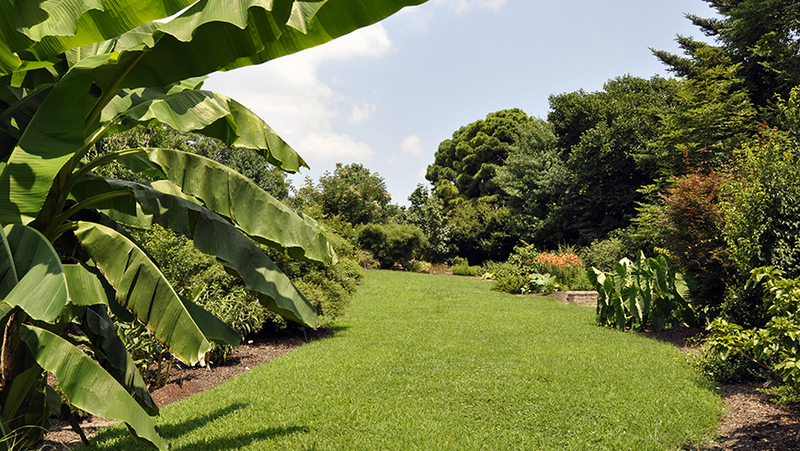 Gardens at the JC Raulston Arboretum offer stunning settings with world-famous plant collections as a backdrop for your special event. Each outdoor event location offers its own unique ambiance and features. 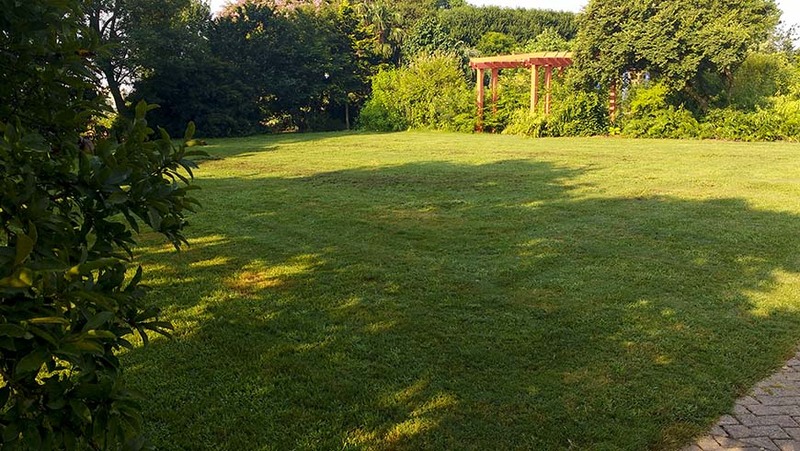 Prior to your event, horticultural staff will manicure the area, making the garden clean and ready for your celebration. Signage indicating that a particular area is reserved for a private event is posted. All garden venues at the Arboretum are accessible via improved surfaces and lawns, and the A. E. Finley Rooftop Terrace is ADA accessible. Non-amplified music provided by the client is permitted in all gardens. With its classic arbor, white gazebo, and private location, this is our most popular venue for weddings. 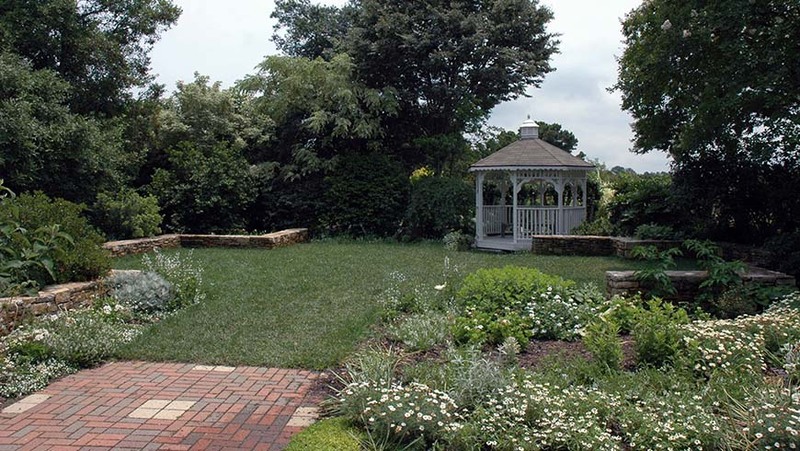 This elegant garden is highlighted by white flowers that surround a lawn area and a small stone plaza. 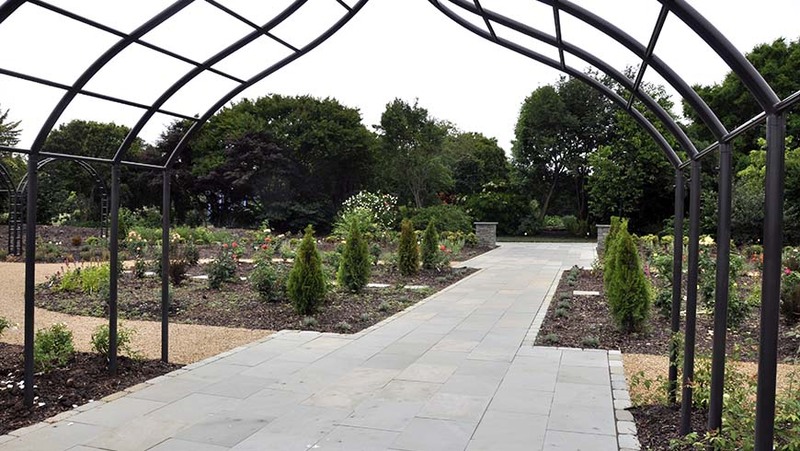 Another of our popular wedding venues, but with a less-traditional feel, the garden sits very close to our Finley-Nottingham Rose Garden. A perfect outdoor oasis that is also closest to JCRA's whimsical “Necessary” (or restrooms). As an added bonus this garden allows tents. A lawn is framed by a special plant collection that celebrates a life and love of plants. Flowering plants dot the area with color through the year. 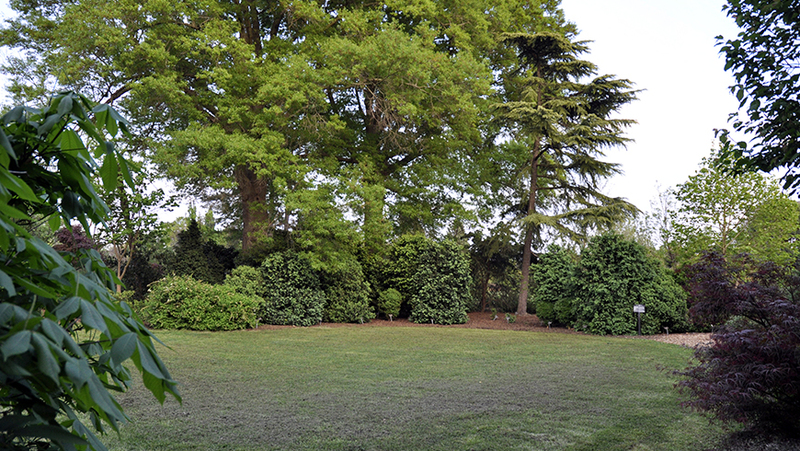 Large evergreen boxwoods frame a circular lawn area, providing a formal backdrop for your special event. Mixed flowering shrubs add color throughout the year. Towering overhead are tall, stately oak trees. 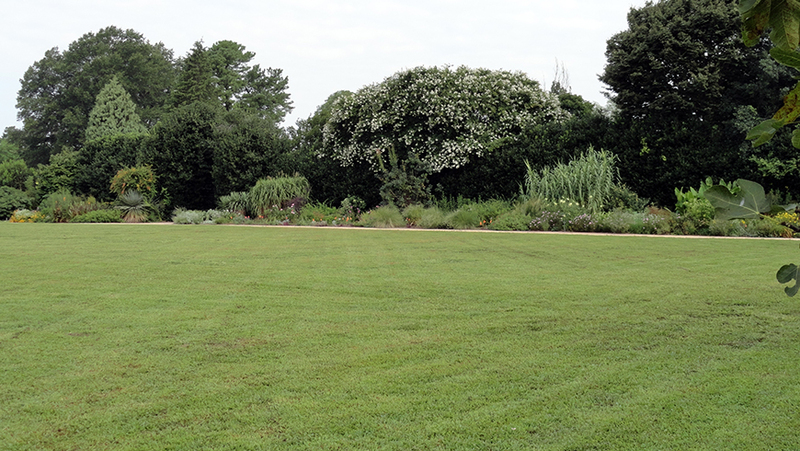 An expansive green space bordered by flowers, the Great Lawn is JCRA's largest outdoor venue. It's perfect for big parties, premiers, and larger weddings. 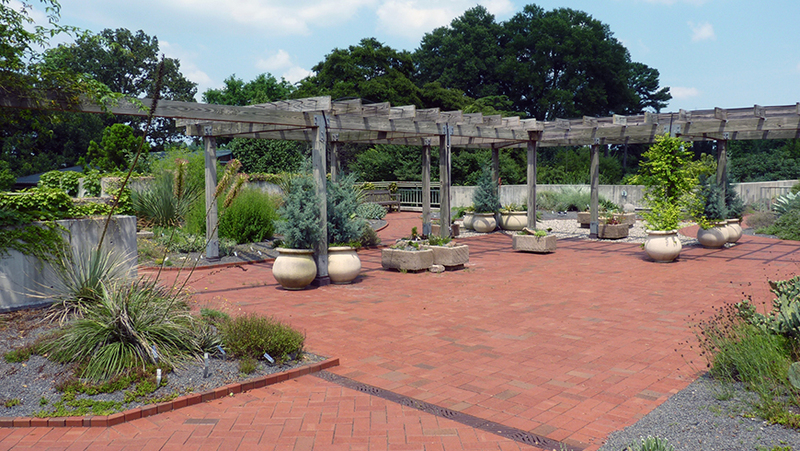 This is the spot to eat, drink, and stroll along the Arboretum’s famous 300 foot long Perennial Border. Beautiful in all four seasons, the serene plantings and contemplative Zen garden provide a peaceful, intimate setting and a memorable experience for your special event. There is very limited space for seating, but there are hard surface walkways for standing. A dramatic setting especially in the evening, this outdoor reception area is perfect for sunset gatherings. Sitting above the Arboretum’s main building, the rooftop terrace has lighting, electricity, and of course, interesting, often fragrant plantings. Lush plantings from Asia surround a small stone patio and slightly sloping lawn area. 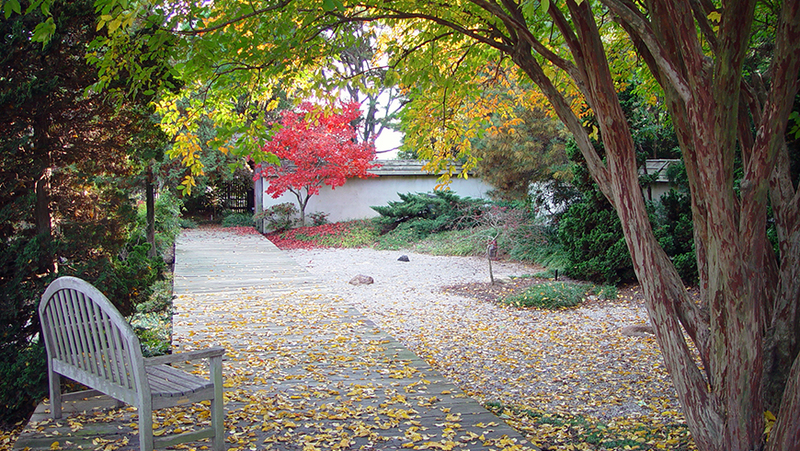 This garden is suitable for receptions or cocktail parties with limited seating. 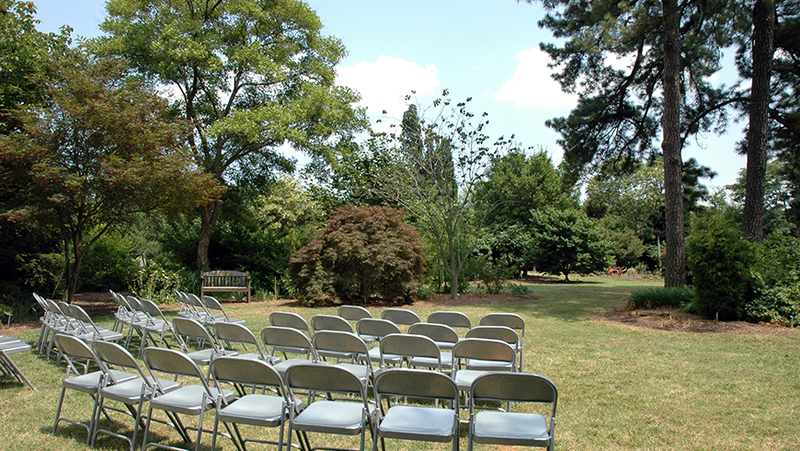 With its classic design, continual color and heavenly scent, the new Finley-Nottingham Rose Garden offers a romantic venue for weddings and other outdoor parties. During two peak seasons, mid-May and again in September, the garden sports more than 3,000 blooms a day. Complimentary plantings of perennials and shrubs, along with arbors and unique garden ornaments, create a setting rich in photo opportunities; a true flower-lover's dream!